Whilst valuing property in a Family Law case is mostly straightforward, Business Valuation for the Family Court can be anything but. There are three generally accepted approaches to valuations. These are the income approach, the asset based approach and the market approach. Within each approach are the methods used to estimate value. The approaches and methods used may or may not be applicable to a particular valuation. Sometimes the valuation will dictate the approach and method. 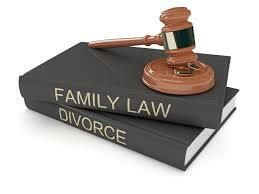 When dealing with Family Law Valuations, the value to owner approach is sometimes the appropriate method to use. The theory of the income approach is that the value of the business is the present value of the future economic benefits (income stream) it’s expected to provide. The economic benefits can be determined from historical results or future projections. When using the discounted future cash flow method, forecasts are typically prepared for five years and then these economic benefits are converted to the present value using a discount rate. The discount rate is a rate of return required by an investor for the risk involved. The asset-based approach utilises the Company’s adjusted balance sheet as the primary focus of fair market value. This approach is important where the fair market value of a company’s assets is significantly greater than its book value. The asset-based approach may be considered when valuing a controlling interest with significantly appreciated assets such as real estate. The market approach draws comparisons to publicly traded companies or private companies that are similar to the subject company. The market approach uses empirical evidence of value using databases for private businesses and companies. A major disadvantage with the market method is that it ends up comparing general information in the market, it is unable to consider specific factors leading to a specific transaction. The term valuation is understood in predominately two ways, being the positivist 'market valuation' and the normative 'value to owner'. Both have inherited several titles such as exchange value, sale price or market value for the former and realistic value, just price, cost of reproduction, fair market value for the latter. The value to the owner concept provides an important distinction in Family Law where the ownership of a business and the associated benefits are likely to continue. The concept of “value to the owner” is not exclusive of the “fair market value” definition and commonly accepted business valuation methodologies. Nor is the concept of 'value to owner' new. In business valuations using the Future Maintainable Earnings methodology, we are determining the value of an income stream. The methodology determines the value of the business and not the price at which it may change hands. The methodology makes no assumptions as to the price on sale. It represents the present value of the future income flows from the business. Value and price are often not the same, as price may reflect other benefits that ownership of the business may confer such as synergies with existing businesses, a job, the desire to be self employed, lifestyle decisions etc. The concept of “value to owner” considers and takes into account the benefits to a particular owner even though this may not be based on a hypothetical third party purchaser.